Make these Maple Roasted Balsamic Brussels Sprouts with Walnuts and Pomegranate for an easy no-fuss yet delicious and healthy side dish to accompany holiday meals or simply add some fanciness to a weeknight dinner. When I was a kid I wasn’t much of a fan of Brussels sprouts. My mom loved them, but thankfully she accepted that its bitter taste isn’t something kids like, so she never pushed us to eat them, she gladly took them off our hands (or rather plates) and ate the Brussels sprouts herself…. 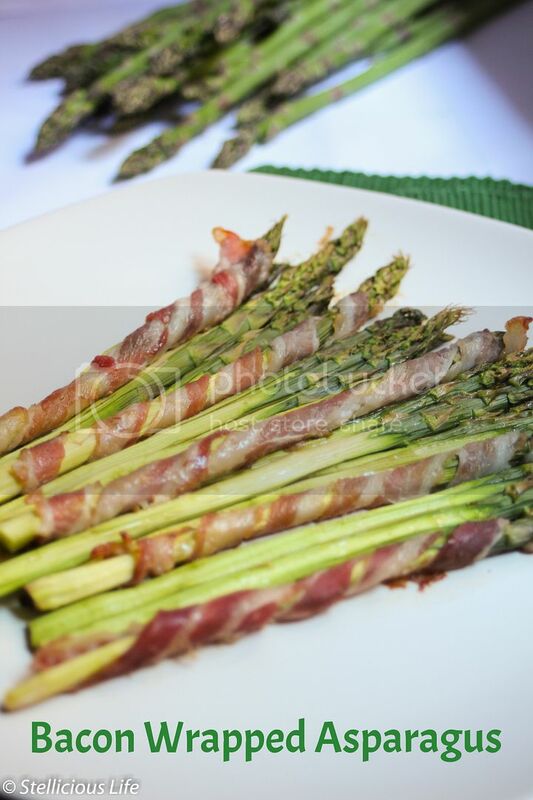 Delicious crunchy bacon wrapped around some fresh green asparagus, it truly is the best of both worlds!